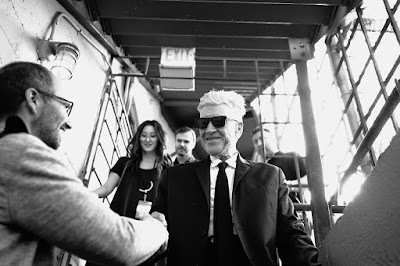 David Lynch introduced the new digital short "Ant Head" at his most recent Festival of Disruption, which just took place, November 13 & 14, 2018. The short is a visualization Lynch conceived of to accompany a couple of songs from his new album he made in collaboration with Angelo Badalamenti titled, "Thought Gang." The songs featured in this video visualization are "Frank 2000" and "Woodcutters from Fiery Ships." This music visualization has a lot in common with many of his other digital shorts and even his very first short film / motion painting, "Six Men Getting Sick." To me, this feels much more like one of Lynch's motion paintings than an actual short film. It feels intended to be an enhanced musical experience that happens to have some subtle motion and transformation present throughout to its macabre end. David Lynch has been throwing together this Festival of Disruption for a few years now and they never cease to provide interesting lectures, Q&A's, performances, and creative art pieces. 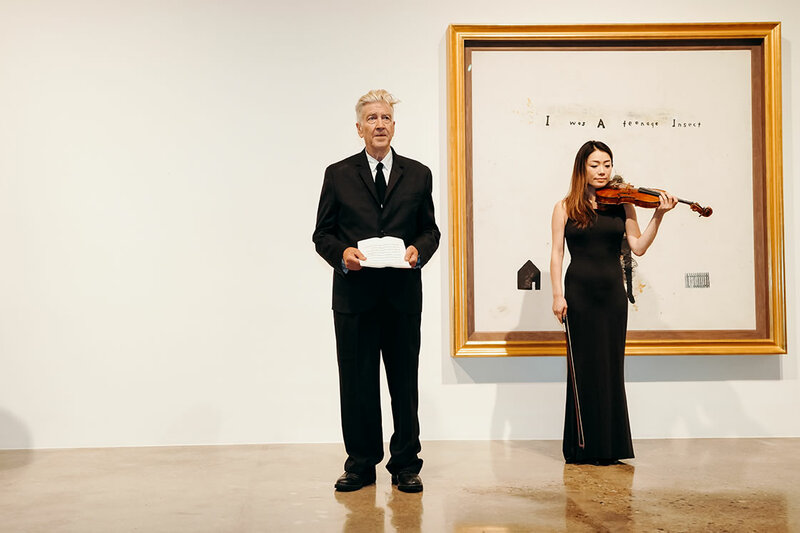 In some ways, it feels like the Maestro is using this venue as a way of bringing avant garde art and the mainstream public together for an unforgettable, culturally enriching experience.